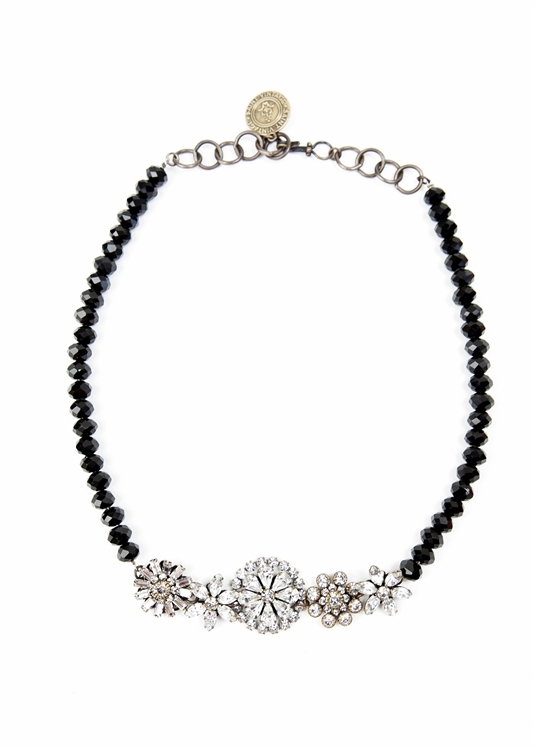 Unique combination of delicate Swarovski crystal flowers and jet black Czech glass beads are pieced together to form our stylish Mindy Floral Bouquet Necklace. 17.5"-19". Worn by Actress Mindy Kaling.